Adam Klein‘s band project has officially been named! Please welcome Adam Klein & The Wild Fires to a stage near you this fall and beyond. The Wild Fires are long-time collaborators and ‘Adam Klein & friends’ members Steve Abercrombie (ex-Blueground Undergrass, The Nice Machine) on bass, Crash Cason (Kaitlin Jones & The County Fair) on electric guitar, and the pride (and border war culprit) of Mississippi and Alabama, Bronson Tew on drums. Check out Bronson’s projects and info at his Record-O-Van blog. Adam‘s Mali album and film project is featured on one of the finest blogs about all-things Africa. Read an extensive interview with Adam and view the film trailer at Africa Is a Country. In other related Mali news, Adam interviewed Malian musician Vieux Farka Toure for his recent visit to the Georgia Theatre in Athens. Have a look at the article and interview online at Flagpole Magazine. Adam Klein & The Wild Fires w/ Little Country Giants. Special guest AJ Adams on pedal steel! In the meantime, Big C & The Ringers will be in action in Athens & Macon this month for some killer blues shows! Come October, Adam Klein & Justin Evans will be out on in San Francisco during the Hardly Strictly Bluegrass festival. West coast CAM’ers, catch them at Super Bluegrass Weekend vol. 6, the coolest ‘official unofficial’ Hardly Strictly after-party! And finally, we’re dangerously close to sending Adam‘s Mali album, Dugu Wolo, to the manufacturing plant. Artwork, package design, and mighty fine booklet featuring an essay, description of the instrumentation, notes on the significance of the songs, photos, etc. is nearing completion. Expect more info on Lassine Kouyate’s (that’s Adam’s Bambara name) Dugu Wolo in the next few weeks! Oh shoot, there’s more! To top it off, Adam‘s been recording with Nutria at drummer Jason Eshelman’s Sonic Research Facility. It’s a fun, garage rock collection with one or two select covers. Electric guitars, Rhodes piano, harmonies… we hope Neil Young would be proud. Happy Labor Day & good luck with the rain! Might actually cool down for a bit. LCG in WV, Adam Klein videos..
Hope summer’s lovely and treating y’all well. 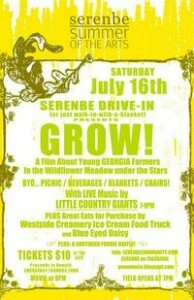 Join Little Country Giants for a fine night of music and film as they “open” for a special drive-in screening of the documentary film GROW! Details here and on poster below. LCG & Grow!, AthFest, Adam Klein tours..
Hello again, folks. Summer’s almost officially here but it’s in full force these days nationwide, it seems. Don’t miss Cowboy Angel Music acts at AthFest on Saturday, June 25th. Adam Klein‘s song “Driftin’” from Wounded Electric Youth is featured on the 2011 AthFest CD. Here’s the info on Athens’ non-profit music and arts education site. 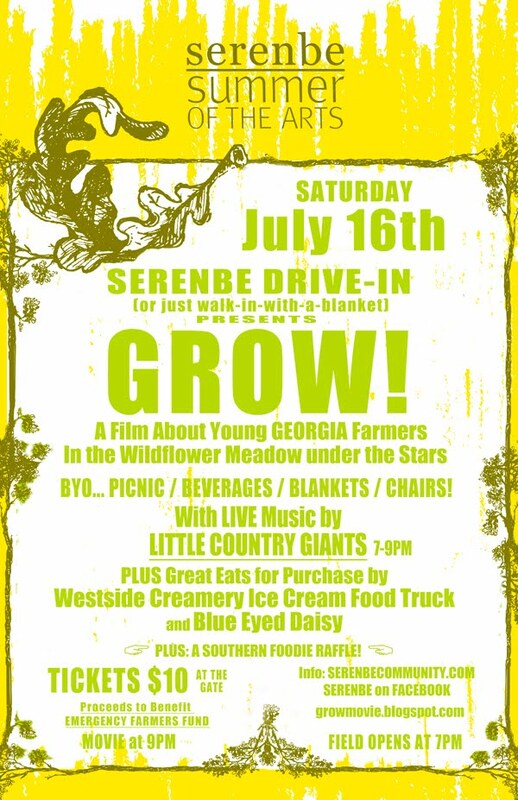 Eleven (yep, 11) Little Country Giants songs are featured in the soundtrack of the new documentary on Georgia’s organic farming culture and industry, GROW! Catch GROW! at festivals near you soon and keep an eye on their site for the latest screenings. Here’s a cool video of Little Country Giant’s “I Think of You” from their latest album, Fists of Foam & Fury, directed by GROW! Director Anthony-Masterson. Also, Adam Klein‘s off for a brief northeastern tour in late June, featuring shows at some fine venues: The Living Room in NYC (w/ the legendary Adam Levy on guitar), Cafe Nine in New Haven, Blue on Portland, Maine, Radio Bean in Burlington, VT, and some fantastic house concerts in western Mass. and Vermont! Adam’s also going into the studio with Athens’ pop/rock masters Nutria to record a new record this summer. May take a few months, but we’ll keep you posted on progress. We think it’s gonna rock. Athens Americana was a fantastic success this year- thanks to all the bands, venues, and audiences for coming out to Little Kings & Hendershot’s for the fine event! Tons of pictures are online at Athens Americana’s facebook page and main site. Check out articles on the fest from Flagpole Magazine, Athens Banner Herald, and UGA’s Red & Black. Two chances to catch Justin Evans this month in Athens: Monday, May 23rd (Flicker) and Tuesday, May 24th (Manhattan Bar). The 24th celebrates Bob Dylan’s birthday with a boatload of Athens artists performing acoustic covers. Daniel Aaron (Vespolina), Don Chambers, Jay Gonzalez, Dave Marr, the Campbell Sisters, Andrew Rieger, and plenty more will also be playing. Sloan Simpson of Southern Shelter has posted Big C & The Ringers and Adam Klein & friends‘ sets from Athens Americana. Have a listen and immerse yourself in Athens, GA, music at Southern Shelter. And over in Europe reviews and radio airplay keep comin’ in for Adam Klein‘s Wounded Electric Youth. In German, Dutch, Swedish, English, and even Hungarian. Just so you know. Adam‘s off to Nicaragua for three weeks. As always, follow Cowboy Angel Music on twitter and facebook for additional updates.